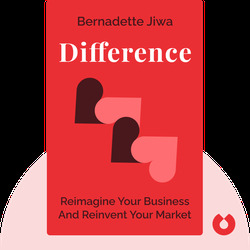 In Difference (2014), author Bernadette Jiwa explains how you can stand out and stay competitive in today's riotous business world. To cut through the noise of advertising everywhere, you have to connect with people emotionally and offer them something more. This book shows you how! 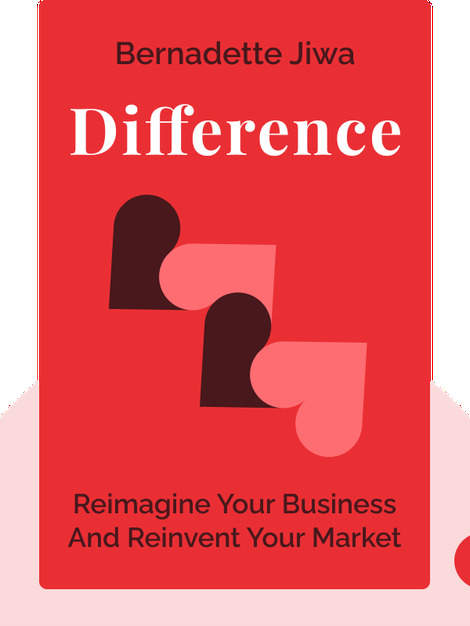 Bernadette Jiwa is an author and speaker who specializes in teaching businesses and entrepreneurs how to adapt marketing strategies for the modern age. Her book, The Fortune Cookie Principle, was a business bestseller on Amazon.